The oil industry is believed to be as old as five thousand years old. Over generations, the industry has become more important as it produced energy that in turn fueled economic activity and development of all countries of the world. The price of oil now largely determines the prices of goods and services in the world market. Given this, only an industry- and business-specific oil enterprise resource planning for oil and gas will be able to respond to the unique needs of players in the sector. The oil and gas industry is basically about finding where such resources are deposited and laying out the infrastructure in which to drill/ extract the oil from offshore, process it and then transfer it to a facility, on-land. Any oil industry software would be an application that would help a company accomplish these objectives also from beginning to end. Who are these players in the oil and gas industry? You have operating companies holding the exploration and the production. Drilling companies are contracted to undertake the drilling work. Other contractors provide integrated operations and maintenance services to the operating companies. Sometimes, these contractors provide the offshore personnel. Yet other operators operate and maintain floating production storage and offloading units. Service companies support operating and drilling companies. Given this complex and high-stakes operations, as well as the high impact on a country’s economy and sustainability, oil and gas companies cannot do without some sort of oil and gas project management software that would integrate its processes across various modules for research, procurement, human resource, production, inventory control, sales and marketing, distribution, delivery, and finance. Oil and gas companies, for starters, are capital-intensive in that expensive and state-of-the-art equipment and assets have to be managed. Sometimes, these assets encounter problems and a great deal of troubleshooting is required. 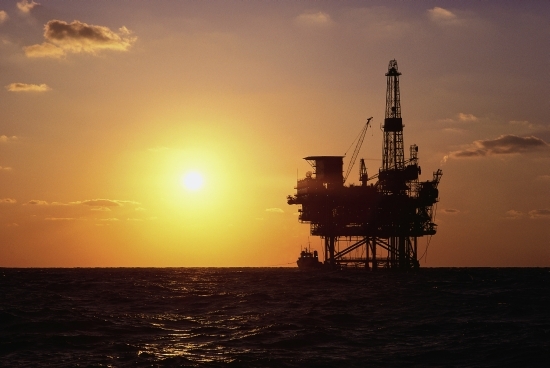 Work in the “field” – both offshore and onshore, must also be managed well. Finally, there are inherent risk, safety and regulatory issues in the industry such that companies must comply with minimum requirements as imposed by governments. These specific concerns all arise over and above the more common issues that any business, in any industry, has to contend with. Hence, putting in place an oil industry software is not just something nice to have, but is essential to business. An example of a good oil and gas project management software is provided by the German company SAP. SAP recognizes that development stems from energy production; at the same time, there are dynamic market pressures and regulatory challenges that oil and gas players have to contend with. As a result, it seeks to provide reliable and affordable solution, going beyond an accounting software for oil and gas companies, into a more holistic solution that makes use of the latest advances in information technology. The SAP ERP for Oil and gas seeks to revolutionize a company’s energy operations, outplay the competition, and ensure compliance. Leading-edge technology – including in-memory computing, analytics, mobile, and cloud – all help maximize a company’s performance and minimize its costs. These are achieved by SAP’s ERP for oil and gas through capital spend effectiveness, digital oilfield operations, hydrocarbon supply chain, operational integrity, human resources, finance and IT management. In fact, SAP Philippines has had extensive experience providing enterprise resource planning for oil and gas industry players that it regularly organizes a meeting among a community of upstream, midstream, downstream and oil field organizations to discover and discuss industry best practices, new technologies, solutions and key trends. This exchange of ideas allows oils and gas companies to collaborate to reduce the risk and accelerate their ability to overcome their industry’s toughest challenges, according to Ken Evans, senior director, Oil & Gas Industry Solution Management, SAP Labs. A user of the enterprise reource planning for oil and gas said the conference enable him to analyze, plan and execute processes within his organization over the next 365 days. The meeting of fellow SAP ERP for oil and gas users also enabled participants to hear success stories from similar companies and discover how they are handling their top challenges, according to Jeff Harbers of TEK Systems. Nexen’s Mario Abella said that the ERP for oil and gas best-practices meeting enabled him to network with SAP users in the same upstream sector of the oil and gas industry. He also realized that many of these organizations were attempting to solve the very same problems as his company. There is also an emerging special interest in the Philippines and in Southeast Asia in terms of potential for oil and gas. While oil production in the Philippines has increased, it has witnessed a decline in oil consumption in the past decade, thus increasing its potential to bring down further energy costs and to start profiting from importing oil to other countries while enriching the communities that actually produce the oil. These are the reasons why there is an ongoing dispute among China, the Philippines, Vietnam and other countries laying clain to the Paracel and the Spratly Islands. China, it is said, stands to gain the most from the resolution of these claims to its advantage. With its economic growth, it is seen to import 9.2 million barrels of crude a day from Africa, Middle East and Latin America. Once these issues are resolves judicially, politically, or diplomatically, it will be known whether the actual production capacity of the region approximates the lower end or the higher end of the estimates. What is certain is that once the drilling gets started, there is going to be frenetic activity in the region, necessitating an even greater demand for solutions like oil and gas project management software, specifically ERP for oil and gas as provided by companies like SAP.